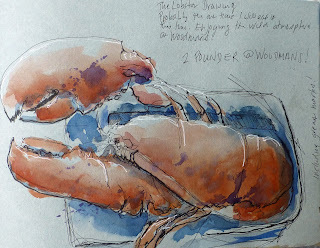 Urban Sketchers Switzerland: Home Again! It's always great touching base with the old "hiemat". I'm already looking forward to next summer! wow - this lobster is amazing! feeling. Those giant lobsters I remember from Chinkoteque!